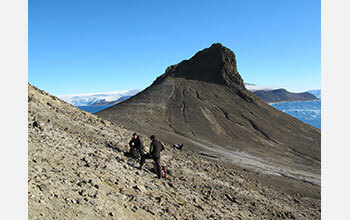 Paleontologists Meng Jin (left) and Matt Lamanna with the Antarctic Peninsula Paleontology Project search for dinosaur fossils on the Naze Peninsula of James Ross Island, Antarctica. One of the great unknowns in the history of life is the part that Antarctica may have played in the evolution and migration of vertebrates (backboned animals) during the key time interval that spans the end of the "Age of Dinosaurs" and the beginning of the "Age of Mammals" (the Cretaceous-Paleogene, or K-Pg, between 100 and 40 million years ago). Was Antarctica a site of the origins of certain modern bird and mammal groups? Although specimens of fish, marine reptiles, non-avian dinosaurs, birds and mammals of this age have all been recovered from this now-frozen continent, most fossils, especially those of land-living species, are fragmentary and poorly informative, and a number of major vertebrate groups that likely once lived in Antarctica (e.g., amphibians, crocodilians) have yet to be discovered at all. The highly incomplete nature of this record is due largely to the rarity of appropriate fossil-bearing rocks and the challenges of conducting fieldwork on this most remote and inhospitable of landmasses. Nevertheless, additional fossils are needed to ascertain Antarctica�s role in the diversification and dispersal of a host of important vertebrate groups. The goals of the Antarctic Peninsula Paleontology Project, or AP3, are to recover new, Late Cretaceous and Paleogene vertebrate fossils from Antarctica and to situate these discoveries within accurate temporal, environmental and ecological contexts. 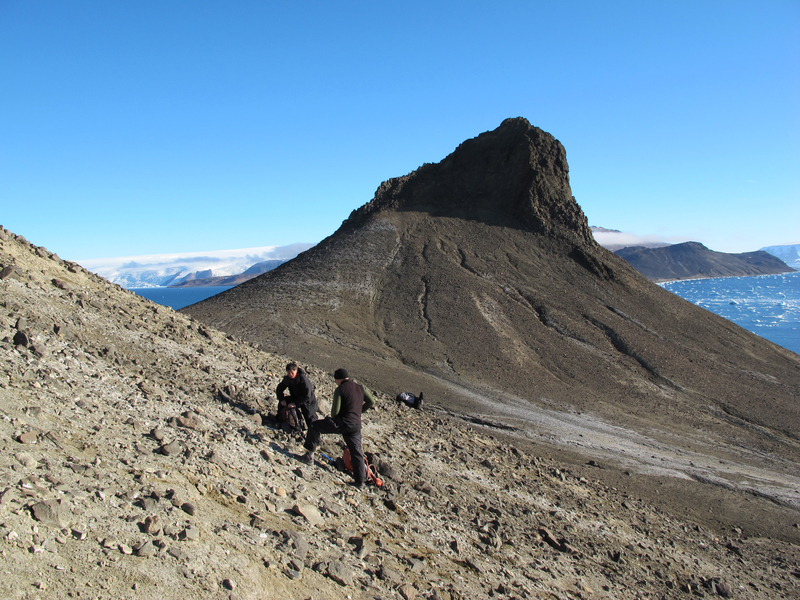 Over the course of several expeditions, AP3 has collected (and are continuing to collect) exciting new fossils of Late Cretaceous and Paleogene vertebrates from the Antarctic Peninsula and are using these discoveries to test key evolutionary and environmental hypotheses.